Get your Monterey Bay Landscape Recognition Sign! Certified Green Gardeners have received hands-on training in ecological landscaping practices. 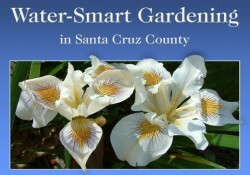 Hire a Green Gardener to install or maintain your Monterey Bay Friendly Landscape. When it Rains…Slow it Sink it Spread it! Rainwater can be harvested in the landscape and in cisterns. Find out more. Monterey Bay Friendly Landscapes are making a difference. View Monterey Bay Friendly Landscapes in your community that are conserving water. Read the stories. Slow it. Sink it. Spread it. 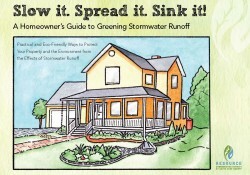 Learn how to use rainwater for landscape irrigation, toilet flushing and clothes washing. Learn to use greywater from your laundry machine, shower, or bathroom sink to irrigate medium and high water use plants. Learn about practical strategies to replace your lawn with water-wise landscaping. Learn how to become qualified to determine if a landscape meets Monterey Bay Friendly Landscaping standards. 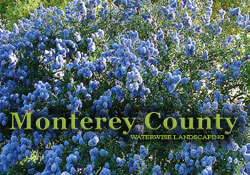 Qualified Raters - Click here to certify a Monterey Bay Friendly Landscape. Learn about the Monterey Bay Green Gardener Certification Program and where to sign up for the next class.